The next mug expected to be found in stores is Toronto. I personally can’t wait for this to happen as I will probably be able to get my hands on it pretty easy. My advice is trying licensed stores. People on Facebook had success finding them in Hotels. 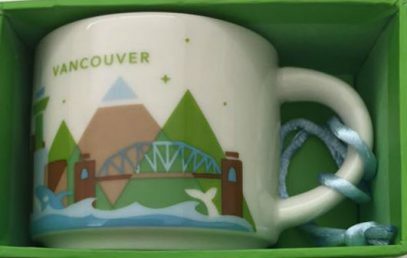 Confirmed location with mugs in Vancouver: Hyatt Regency Vancouver (655 Burrard St, Vancouver, BC V6C 2R7).